It doesn’t matter if they don’t have a place to stay or relatives to welcome them with open arms. 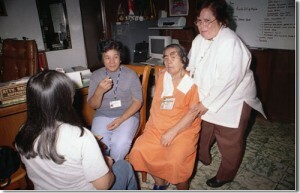 What is important for old persons, who have served more than half of their lives as inmates at the Correctional Institution for Women, is to walk as free individuals. Some old folks who don’t have families to come home to were brought to the Home for the Aged for care. 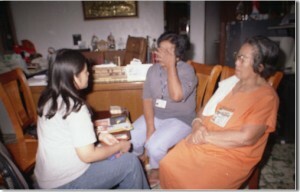 I have met some old women inmates at the CIW when I was still with PJI. They cried the moment they began telling their stories…I couldn’t help but cry with them too, especially when they talk about their children and how miserable their lives have become when they were sent to prison. They’ve missed their children’s birthdays, graduation days…special events in the lives of their loved ones that they wish they were a part of…They even missed burial of their own children…so tragic, but true. I still keep some of their photos. I’m not sure if these two grandmothers have been released from the institution. Both of them originated from the north and have been charged for drug-related offense. If both of them have not been released yet, I hope that they will get their freedom back soon. And if they were already reunited with their loved ones, I wish that they (relatives) have accepted them wholeheartedly so they could live the life they truly deserve as free individuals. This entry was posted in For a good cause, Holidays, Occasion, Personal and tagged Correctional Institution for Women, grannies in prison, old women in prison, women inmates on December 11, 2015 by Yami. Want to be a blood donor? 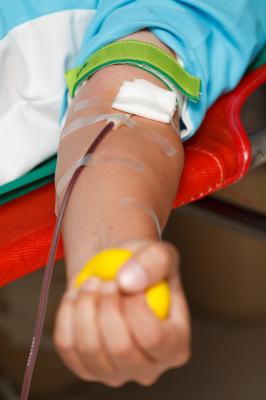 Do you know that donating blood does not only benefit the recipient, but the giver as well? One great benefit of giving blood is that you help others live. You see, our blood has several components such as red cells, white cells, platelets and plasma. Each of these components is useful to someone needing them. As for the health benefits, you will be amazed to know that blood donation reduces the person’s risk to heart attack and cancer. 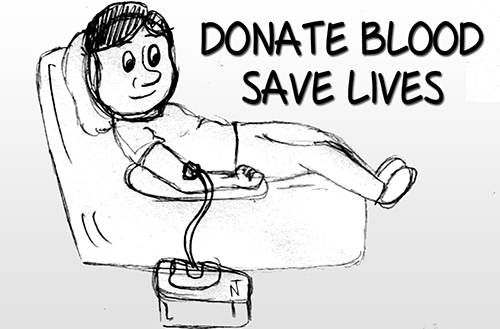 Blood donation replenishes the blood production in the body and as a result it helps the body stay healthy and strong. There are foundations that sponsor blood letting project inside the mall. So if you happen to be at the mall where a blood-letting activity is taking place, you can visit them and see if you qualify to donate blood. Pass the physical and health history assessments. 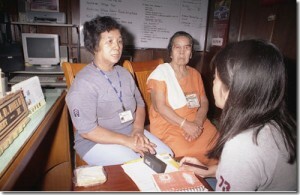 Potential donors are carefully screened by the Philippine Red Cross Blood Services Facilities. The screening guidelines are necessary to ensure that blood donation is safe for you and that it is safe for the person who will be receiving your blood. This entry was posted in Advocacy, For a good cause, Healthy living and tagged benefits of blood donation, blood donation, what is blood donation on June 17, 2015 by Yami. Yes, I still could not sleep. And how can I when tomorrow, err later this day will be the big day. I can’t share yet to you but it is for the benefit of my health. I am really thankful that this event came. It is something I have thought of doing but never had the courage to do so. 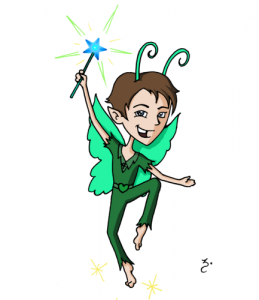 What is exciting about the fairy? As said, he is known by everyone I know as when he visit a blog he never fails to make the blogger smile. He is quite generous and many blogger already testified on this one. He got Fairy Overload over at Appliances Online and some fairy dust for us bloggers. This entry was posted in Exercise, For a good cause on July 26, 2012 by Yami.